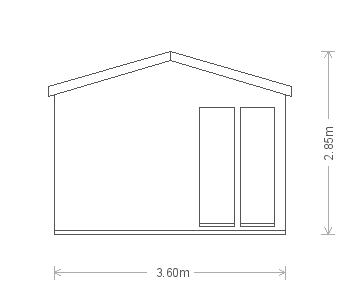 This 12 x 12 Burnham Garden Studio is part of our wider range of timber garden studios and offices which all include free delivery and installation as part of our complete service. Each of our studios feature full lining and insulation as standard and, intended for use as a garden office, this model features an electric pack. The exterior was finished in shiplap cladding, coated in Lizard green Valtti paint and was teamed with cedar roofing shingles and guttering. 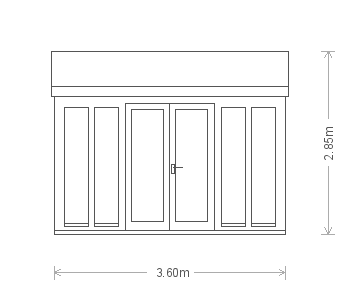 If you would like to discuss the options for your garden building directly with one of our team, please request a callback, contact us or call us on 01760 444229 and we will be more than happy to talk through the options with you.